So hard to find…Neat-Oh! has gobs of it! 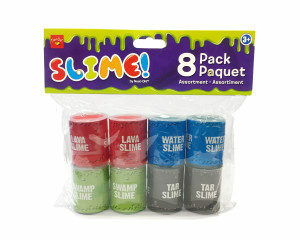 Green (Swamp Slime), Blue (Water Slime), Red (Lava Slime), and Black (Tar Slime) – they squeeze, stretch and play with their slimy stuff while they create crazy stories full of color and fun. SLIME! is non-toxic…so have fun!